Spinal Injury: How Do I Choose A Lawyer To Help Me? A Lawyer needs to be familiar with the consequences of a person suffering a spinal injury and to ensure the whole person impairment is assessed correctly; and that all special requirements are costed over the person’s lifetime, in addition to the usual heads of damages in a Personal Injuries claim. There is different Legislation that governs each of the above incidents and sometimes it may be necessary to make claims under two of the above. Click on “find a solicitor”. You will then see an icon “Legal Profession – Access practitioner and firm referral lists”. Click on this and then click on Referral list. Click “Search Now” under the heading Referral List. You can then type in “Spinal Injury” and put in Brisbane CBD. Under “spinal injury” you will see a list of Lawyers. However, I have been informed that the Queensland Law Society is no longer listing Lawyers who have at least five years’ experience in this field. 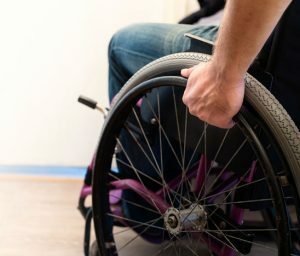 It is therefore now even more important to question the experience of the Lawyer who has listed as taking referrals for spinal injury experience as they simply may not have the experience you are seeking. You need to look for a Lawyer who has handled many spinal injury cases as they can vary in the needs of the spinal injured patient. It would be my recommendation to seek a Lawyer with over twenty years’ experience to ensure that they not only have knowledge about spinal injuries and the associated special needs but also experience in the liability aspect of the incident occurred. You may ask ‘Why?’ – because the Lawyers who will ultimately be acting for, say, the Insurer of the CTP Insurer of the vehicle that hit you or for the Insurer for the Medical Negligence that occurred, will have very senior Lawyers including Queen Counsel acting for them. Their job is to fight liability, or certainly put your Lawyer to test on this issue, and then question the heads of damages you are claiming. Therefore, a Lawyer who is very experienced and has special knowledge and expertise in spinal injuries will be the best alternative for you. As the Queensland Law Society does not categorise liability under the spinal injuries category, you will need to ask lots of question. 1. Ask the Lawyer you approach if they are experienced in the type of accident you have had. If so, ask for examples of the types of cases and how many years they have been working in this field, and how many spinal injury cases they have been involved in. 2. Ask the Lawyer if they will have control of your file from the beginning to the end.Ask if your file will be allocated to junior Lawyers or paralegals to handle aspects of your case. Ask the Lawyer if they will have hands on your file at all times except for minor assistance from other staff members. Be aware that some firms pass your file around regularly and there is not just one Lawyer handling your file. This may also mean that you will be charged for every new person to read your file. 3. Ask the Lawyer about the type of experts that will be engaged to prepare medical reports on your permanent impairment, your work capacity, gratuitous care rendered by family members or friends or paid personal carers, your special equipment requirements, future medical needs (bowel, bladder and sexual dysfunction requirements), house and vehicle modifications, medication for control of your bowels, urinary tract infections, sexual dysfunction requiring IVF assistance to have children, etc. Expert names for these specialists should be known by the Lawyer you speak with if they truly have the necessary spinal injury experience. I suggest you put the Lawyer on the spot and ask this question. 4. If you have, in addition to the spinal injury, also suffered a brain injury, an understanding of the impact of the brain injury needs to be understood and investigated with respect to your personality and impact on your family, impact on your work capacity, etc. You need to ask questions about the Lawyer’s expertise in managing your claim. 5. Every Lawyer is required to enter into a Cost Agreement with a client. You should question the Lawyer about their hourly rate being charged, and whether there are any additional charges above the hourly rate, particularly if liability will be contested. Lawyers who speculate matter, generally charge an increased percentage of their total fees for running the risk of not getting paid at all due to the liability issue and the fact that they generally wait up to 2 years to get paid. Some Lawyers do not charge an hourly rate, but they choose to annexe a scale of charges for various items to their Cost Agreement, and then a Cost Assessor will calculate the professional fees at the end of the matter. You therefore cannot tell what the difference will be between a Lawyer who charges an hourly rate to a Lawyer who annexe a scale of charged for various items. You will need to read the cost agreement carefully and ask questions. 6. When Lawyers indicate they will speculate the claim, what does this mean? This means that the Lawyer will not charge you for their professional costs unless they are successful at obtaining settlement money for you, whether this occurs by way of negotiations, at a Compulsory Conference (which is required in all pieces of legislation to occur before proceedings are instituted in a court) or by proceeding to a trial and obtaining an award of damages. 7. Who pays for the outlays incurred by the Lawyer on your behalf? This can differ between law firms, so please ask. Not all Lawyers acting on a Speculative basis will pay for your outlays, and indeed some will, with your consent, obtain litigation loans to pay for all the necessary medical reports. However, sometimes very high interest rates apply for which you will pay that interest when your matter settles or after the trial. Therefore, you must ask your Lawyer prior to signing the Cost Agreement with them. Doctors who prepare reports generally will not release the medical reports until the Lawyer pays for them. Depending on the severity of your injuries and the consequences of those injuries on how many reports are required to be obtained. The cost of those reports can vary depending on the seriousness of your injuries and needs and the impact of those injuries on your work capacity, and care requirements. 8. If you are successful in obtaining an award of damages the negligent party will be required to pay a part of your legal costs and outlays. These are called your Standard Costs and Outlays. Usually the medical reports costs are paid for by the negligent party on settling your claim. Therefore, there is a gap between the costs charged by your Lawyer and the costs recovered from the negligent party. 9. Ask the Lawyer if they will be appointing a barrister to assist in your claim. If so, will that Barrister also be prepared to accept instructions on a Speculative basis as well? 10. Lawyers who are not as experienced, may engage the Barrister to perform additional services that the Lawyer can do. You should ask when a Barrister is generally engaged. Barristers are generally engaged to prepare an Advice on Quantum for you to read prior to a Compulsory Conference. They are also engaged to appear on the Compulsory Conference as well as your Lawyer. You can ask your Lawyer about the fees that will be charged by the Barrister. 11. Ask your Lawyer how many files they are handling. If there is an excessive number, you may have a concern that your claim will not be settled within a reasonable period of time due to that particular Lawyer’s busy timetable, rather than your claim being prioritised. 12. Your claim will not be able to settle until your injuries are stabilised.However, your Lawyer should be doing preparation work to ensure settlement of your claim is not delayed unnecessarily. Your claim should reach a settlement within 2-3 years as a maximum, depending on complications with your injuries or the liability situation. Regular contact with you needs to occur. 13. Depending on the type of claim, i.e. Motor Vehicle Accident, or Workcover, you may be able to seek assistance from the insurer to provide you with rehabilitation at their cost. Your Lawyer will need to intervene when necessary to ensure that all your needs are being met. 14. If you are not happy with your Lawyer, you can have your file transferred to another Lawyer. Generally, the first Lawyer will wait for payment of their professional fees until the new Lawyer settles your claim. However, outlays paid by the first Lawyer will need to be paid out by the new Lawyer when the file is transferred. 15. You will see “Accredited Specialist” mentioned occasionally and this means that the Lawyer has completed a course and passed an exam in the personal injuries field. This is in addition to the areas of Law being completed in the Law Degree. However, having 20 years hands on experience is recommended irrespective of the completion of a course. 16. Ask what experience the Lawyer has in dealing with the particular Insurer that may be involved in your case. Knowing your opponent is also beneficial in knowing the best way to handle your claim successfully.